Nice! 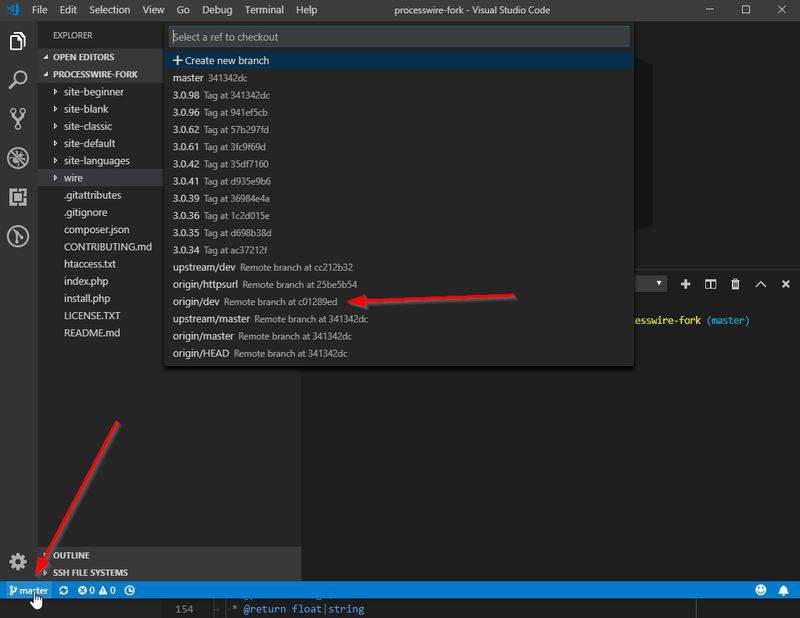 Index.php shows up in the git panel on the left side under "changes" and clicking on it we get a nice diff (if you haven't tried VSCode yet, give it a go and see the corresponding forum thread here). 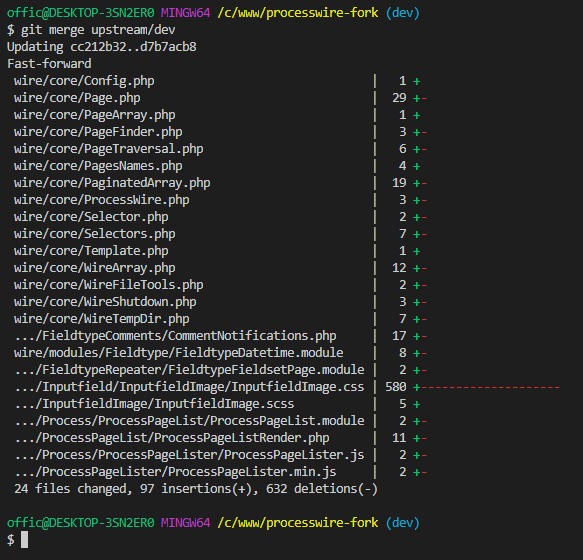 Now that we have a fresh fork of ProcessWire we want to contribute something to the project. But how? We need to install ProcessWire first to test everything, right? But we don't want to copy over all edited files manually, do we? Symlinks to the rescue. If you have your folders on the C:/ drive you might need to run CMD as admin. We are ready for our first contribution! 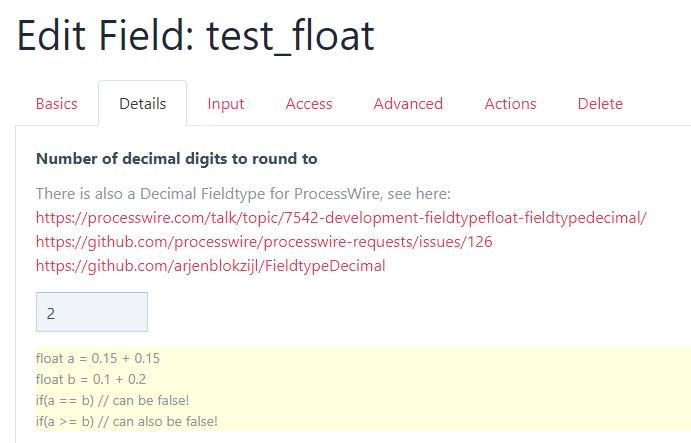 We are inside "processwire", not "processwire-fork"
Ok, we want to add some comments to FieldtypeFloat, so we open up the forked repository of ProcessWire in VSCode. This is important! 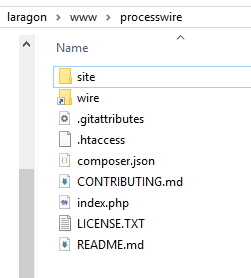 We work on the forked folder "processwire-fork" but we TEST everything in the browser from the test-instance in the folder "processwire". 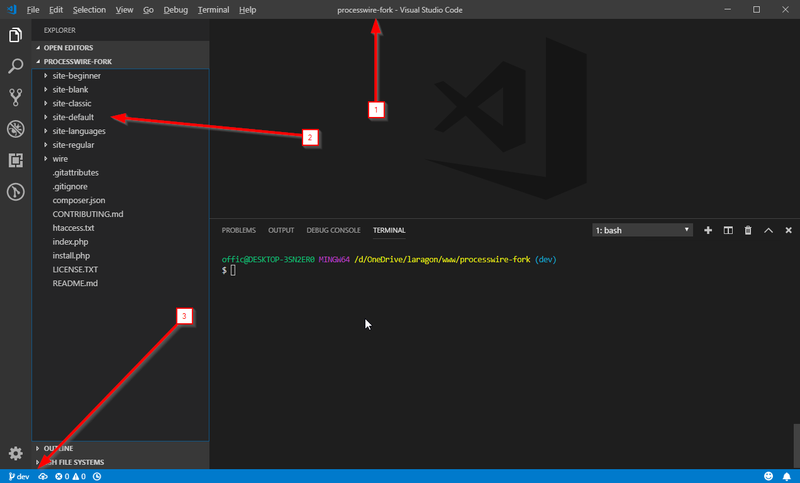 This might be a little confusing at first, but we are not working on a local project, we are working on the core. 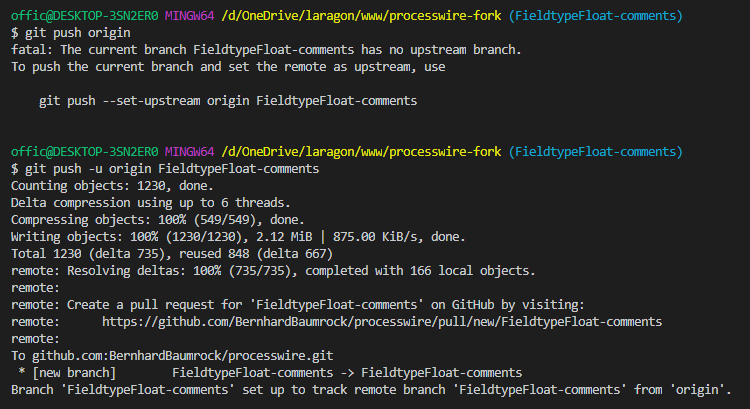 See the first command and the comment what happens if you don't define the remote branch. 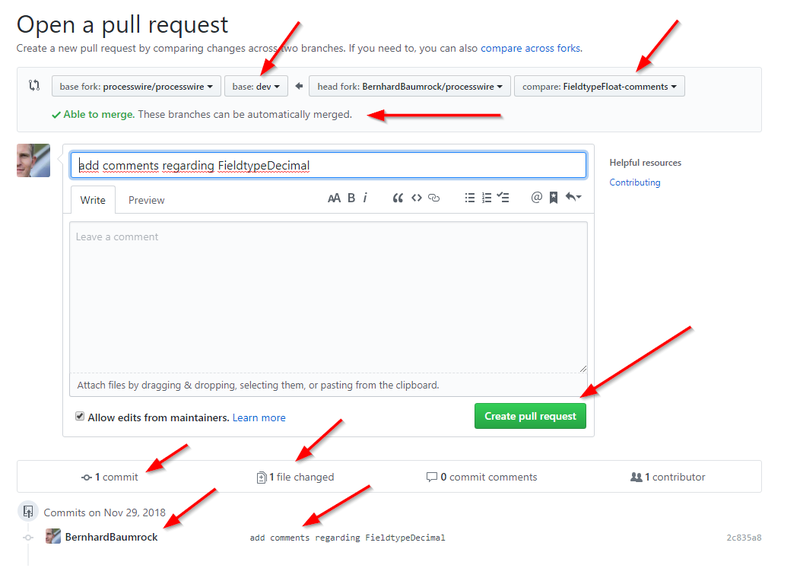 Just make sure that you send your pull request to the dev branch! As you can see it grabs the new dev version from the upstream repo. But if you go back to the running PW site's upgrades page you'll see that you are still on the old version. We need to merge the changes into our branch. You can now continue by creating a new branch and working on it as shown in section 3. Thank you @bernhard for another great tutorial. Written very well and very understandable. No creepy warning about being in detached HEAD mode. 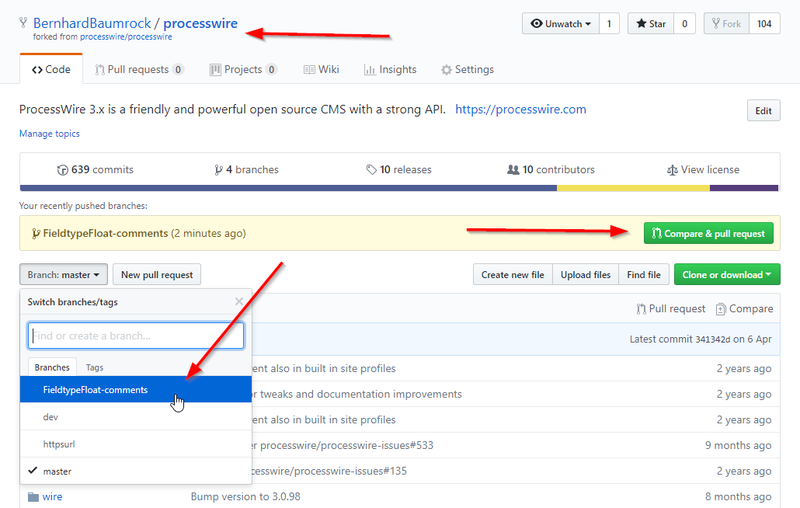 I've added a section about how to grab the latest updates of processwire when you already have the setup shown in this tutorial.